Well this year has been exceptional in many ways. I am not sure what 2016 will bring but if it tops this one I will be very pleasantly surprised. The year started with me finalising the arrangements to get my Mum's flat ready for sale and putting it on the market. This was both sad and a relief, but something that would close the book on her wordly affairs. I was delighted to have the help of my son and son-in-law who moved the remaining furniture and things I wanted to keep back to my son's house for safe keeping, as I was unable to store them here. This has also meant that it has started to put some speed on my need to move to a new house with more space, where I can both put these family heirlooms and also start my centre. Long before she became ill Mum and I were planning about going to New Zealand one day. Unfortunately, she became ill beforehand and never really recovered enough to be able to; with the loss of Mum and being able to spread my wings a bit I decided that I was going to do the trip alone for both of us. So it was that on what would have been her 90th birthday I set off to Singapore to visit some cousins for a few nights before carrying onto Sydney for a few nights more. I then flew to Auckland to pick up a tour I had found and booked on the internet by a good NZ tour operator. One of the good things was they covered all the places, so you did not feel the need to return to see the rest. The trip was amazing and I doubt I will ever be able to visit anywhere so fantastic again. I was away for a month and had a wonderful time with my family and the people I met in the group, who were great fun and added to the whole experience. Now back this finale to the year has left me catching up with admin, clients and Christmas! Still it was definitely worth it, even if I have been having odd sleeping hours since! The year started off on a high note as I went to Eastbourne and we went to the Panto with the grandchildren. Beauty and the Beast was brilliant and a favourite of my grandaughter, which is being balanced by our going to Peter Pan for 2016, a favourite with my older grandson. The youngest is still a bit young for it yet, but maybe accompanying us next year. I was teaching Advanced and Metaphysical Reflexology in January as well as training students in Vitaflex and Raindrop Techniques with further training in February and a trip to Venice to meet up with our Italian Group and do more training on the Young Living Essential Oils and a weekend of Vitaflex and Raindrop as well as using oils for meditation at a yoga group. There were many clients and successes in my private practice and I managed to visit the family so it was a pretty wonderful start to the year. March brought a trip to Amsterdam, which was very enjoyable and amongst other things we visited the refurbished Rijksmusem along with canal cruises. We also took in Harlem, which is a wonderful town and fully enjoyed the market and Franz Hals Museum. A talk on how to take control of your health naturally in Bedfordshire was well received and before I knew it Easter had arrived and so I had a few days of relaxation. Just as well, as April saw me giving a talk to a local women's group, before flying up to Glasgow to see a friend for a few days and training in the Diamond Light Course, which was both interesting and effective so I booked for the final part a few weeks later. I started a regular Healing Group once a month from home and that has gone well and allowed myself and the other therapists to do a bit of energy clearing and healing. 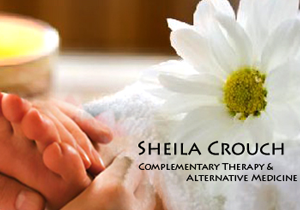 We all do Reiki and other therapies so we are able to also learn from each other, which is wonderful. May saw me visiting my daughter and grandchildren in Eastbourne, as it was half term and enjoying their company and watching them grow. It is incredible how they change so quickly. The youngest had lost his baby face and with most of his teeth had developed into a little boy with his own looks and personality. It was back to Glasgow for the second part of the Diamond Light and another opportunity to explore Glasgow with my friend and see some of the wonderful buildings and sights. At the end of May, I visited Folkestone, staying near the harbour and visiting the many historical and interesting places around. I also had the wonderful experience of seeing my son, who was doing an MA in Acting at Guildford School of Acting, in a play. It was wonderful to see him on stage and I went with my daughter-in-law, which was an added bonus. June saw me heading east to North Norfolk to visit my brother and his wife who had moved up to the area the year before. They have only just finished their house renovations this December, so I stayed in a lovely old hotel in Weybourne called The Maltings and they came and took me back to see the half finished home, they were in the middle of refurbishing and building to their taste, as well as around the locale, which was beautiful. I had been to the area before on holiday so was aware of most of it, but as usual nature and the extraordinary English countryside put on a spectacular show and we all enjoyed our time together, especially trying out some of the fabulous pubs and restaurants. June also brought my second trip to Italy for the year and getting together with old and new friends, as we shared in learning more about the Young Living oils and assessing and training more students. This time I also did more training and workshops on using the oils for emotional clearing, which was again, very successful. Having returned and being busy with clients I was off the following week to Bulgaria for a break and rest. As usual Bulgaria was warm, beautiful and a place to expand the soul. I also managed to see a friend in Stara Zagora and had a cap, which had come off my tooth replaced by her dentist. A great job and a lot cheaper than here! I returned the middle of July and met a friend who was staying in Surrey and we visited Hever Castle, a fairytale place, before she came and stayed over for a couple of days and we presented an Assessment Day for students who had done the Raindrop Training earlier in the year. It was in July, it was decided to make the best of our English Heritage membership and visited both Kenwood House, which must have been on the wettest day of the year and with no direct transport from the station, we got drenched, walking up Hampstead Hill alongside the Heath, before we finally came upon a bus that took us to the gate! Needless to say the rain stopped when we got inside the house! We also visited Downe House which was the home of Darwin and was a lovely family home and beautiful garden to walk around, on what turned out to be a sunny day, which was a relief! We have also managed to do Deal, Walmer and Dover Castles (Dover had a WW2 festival on which was very entertaining, as well as Eltham Palace which has been done up and is amazing. The school holidays saw me down at Eastbourne again, where I met up with an old friend and spent lots of time with the family, including a Granny Day with my grandaughter, which consisted of swimming, bowling, a high tea at one of the hotels, bicycle riding in the park and seeing a DVD before a fish and chip supper. So a good day was had by all. August saw my friend from Italy visiting relatives and attending a get together on the oils with other members of the group, here in my home. It was lovely to visit Chichester with her and see my Dad's old haunts, as his grandfather was the Estate Manager for Squire Eastwood at West Stoke in his childhood; we often used to go together and he would tell me all about the locals and events that took place there. Chichester has changed a lot and is much smarter. West Stoke has completely lost its village atmosphere and is now full of commuters and well off professionals rather than the country folk of his day. It also hosts Kingsley Vale, a nature reserve, where the biggest yew forest is in Europe. I returned to Glasgow to spend time with my great friend up there. This time we had more time together and visited more places of interest and I did a talk on the Bible Oils which was well received. August brought a second chance to see my son on stage in London and the play "Dorothy" which was excellent receiving critical acclaim with a 4* rating. I also attended the London Conference on Conscious Healing Evolution, which was a very interesting and thought provoking weekend . It also allowed me to see and hear Gregg Braden, who apart from his ground breaking work also accompanied his wife on stage, as she played and sang one of her songs, which won her a prestigous music award. He plays the flute and it is quite magical. September saw my third trip to Italy to present more training, this time I was accompanied by my friend and co-founder of Raindrop Training Europe Suzanne. I returned to a busy diary of clients and a weekend of presenting two workshops at CAMEXPO at Olympia in London with great success, but it sadly always lands on my birthday! I also taught an Indian Head Massage course and managed to fit in some family time between all the work. October, was the month of extreme travel! I went and stayed down in Eastbourne for a few days and then was home for three busy days before going off on a weekend trip to Holland. This time we went to The Hague and Delft, which were incredible towns with a wealth of art galleries and exquisite paintings, as well as beautiful architecture. We stayed in Breda, which was the home town of my Mother's maternal family and it was wonderful to spend a day exploring and seeing all the places she had told me about. A couple of days later after being busy with clients, I was off for 10 days to Malaga in Spain to do a Mind Body & Spirit show in Marbella with Suzanne and another colleague before presenting another two training days and a talk for the Fuengirola group of the Costa Women. All of which went very well and it was nice to have time with Suzanne in between, so we could have some lovely walks in the countryside around her home town there. A quick catch up with clients and I was in November and five days later flying out to Singapore as a first stop for my month long trip to the other side of the world. I have been back a week now and it has been very hectic, catching up both with work and socially. Christmas is now looming and although it does not feel like Christmas to me, probably because of the sunny days I left behind as their Summer started. It was very odd to see Christmas trees and decorations in the bright sunshine there! I am almost completed on the presents and cards and am looking forward to a restful break with visits to the family and already planning another trip to Italy in March as well as two London trainings in January and February. I am also thinking it might be nice to be back in the sun and keeping an eye out for a cheap break to the Canaries perhaps! This is also the year that I am hoping to move and so that will be taking up a fair bit of time. I have been looking around and trying to find a place which is convenient for clients, family and Gatwick if possible. A tall order, but who knows what the future will bring. I never thought at the beginning of the year that I would have accomplished all this, so I look forward to 2016 and the first Raindrop & Vitaflex Training on 9th/10th January 2016.